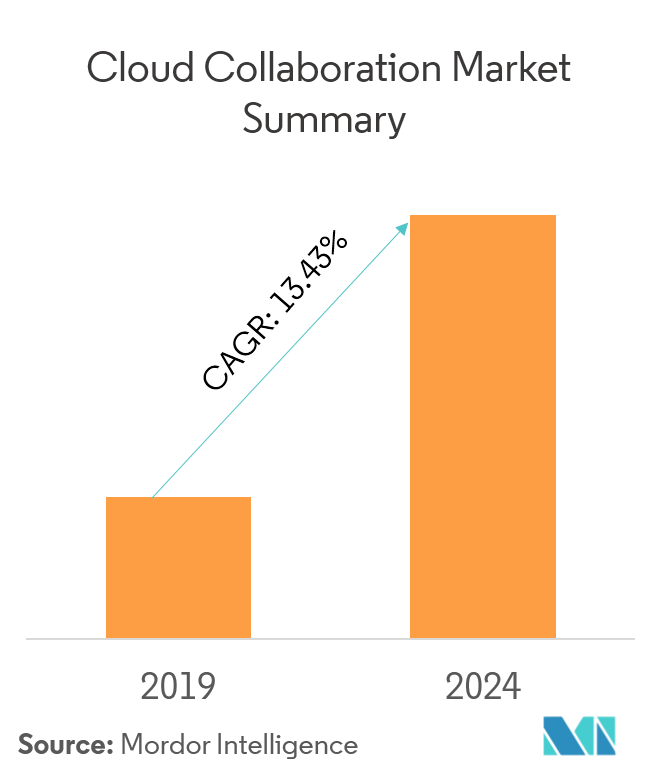 The Cloud Collaboration Market is segmented by Solution (Unified Communication and Collaboration, Enterprise Social Collaboration, Project and Team Management, Document Management System, and Support Services), Deployment Type, End-user Industry, and Region. Employees across organizations use cloud-based collaboration platform to share and work together on projects at once. Cloud collaboration enables to achieve high productivity with access to real-time data. Cloud collaboration offers high agility to companies and enables easy data sharing among remote and virtual users. With changing business requirements, companies are now looking for services, which offer easy access and increased productivity, thereby supporting the growing need for agile support. With increasing automation trends, along with the changing mobility, it has become increasingly important for industries to look for solutions that can offer services, thereby reducing the overall infrastructure costs. Moreover, businesses adopting mobile services and implementing new policies to increase employee interaction and ease of use, have become important to provide access to data across multiple end-point devices. These services allow the client and employees to access files and data who are working on offsite locations, which makes operations much more accessible. It also lets users with BYOD (bring your own device) to take full advantage of accessing data over the cloud. Cloud collaboration is a type of enterprise collaboration that allows employees to work together on documents and other data types, which are stored off-premises and outside of the company firewall. Employees use a cloud-based collaboration platform to share, edit, and work together on projects. Cloud collaboration enables two or more people to work on a project at once. 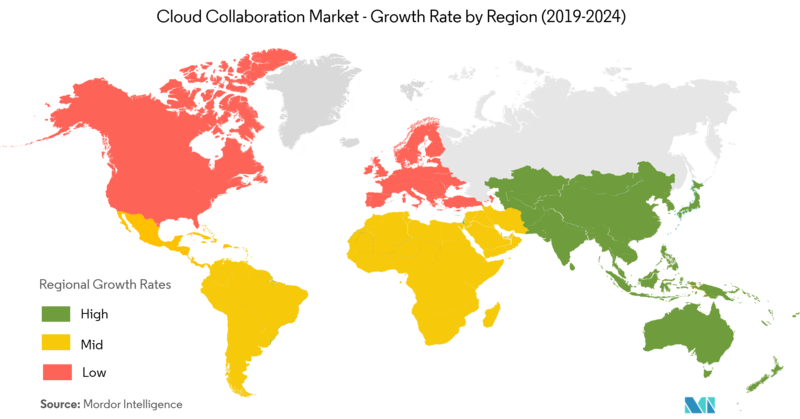 In recent years, enterprise social collaboration (ESC) solutions have been able to connect people around the world effectively. Social applications have been limited by technology and may work fine for one department, but not for another. With the advent of the cloud, the integration of social collaboration solutions is easier than ever. The demand for enterprise social collaboration is on the rise and with good reason. With the millennials becoming an increasingly large part of the workforce, CIOs will be forced to face enterprise social collaboration (ESC) in the future. Intelligent CIOs who are ahead of the trend have already embraced it, leading to staggering results. When properly integrated, ESC solutions empower both employees and employers. It can instill the intimacy and fun of social media into work-related communications, and lead to accomplishing tasks in new and more efficient ways. Trusted partners and valued customers can also be integrated directly into the network to everyone’s mutual advantage. As per the RightScale’s State of the Cloud Report 2018, over 80% of the North American and European companies were using a complex deployment model in the cloud, i.e., 51% of the hybrid and 21% implementing a multi-cloud strategy, with an average of five cloud providers. The aforementioned factor has further stimulated the cloud collaboration demand. With automation trends prominent in the region, it has become increasingly important for industries to look for solutions that can offer services to reduce infrastructure costs. 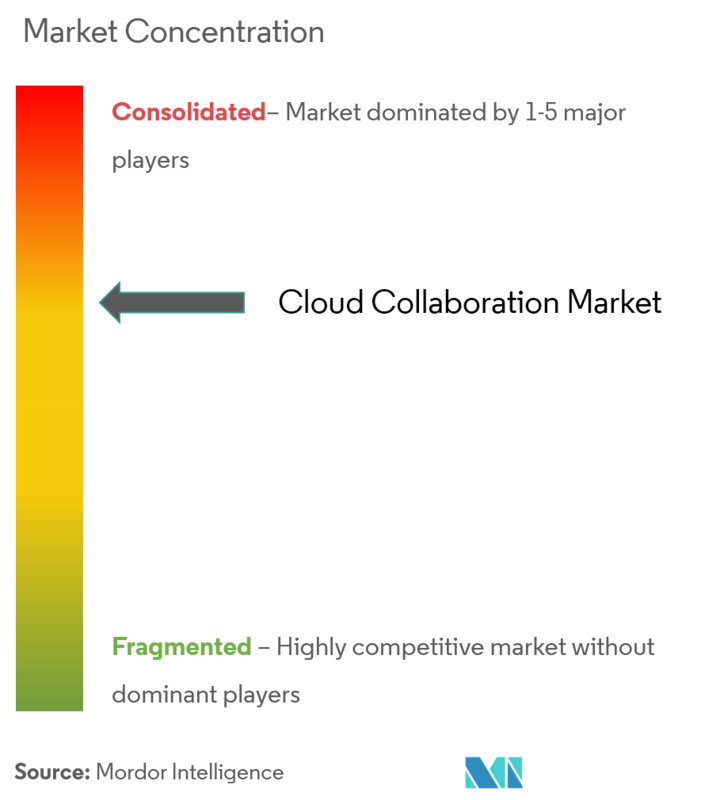 The cloud collaboration market is highly competitive and consists of several major players. In terms of market share, few of the major players currently dominate the market. These major players with prominent shares in the market are focusing on expanding their customer base across foreign countries. These companies are leveraging on strategic collaborative initiatives to increase their market share and profitability. 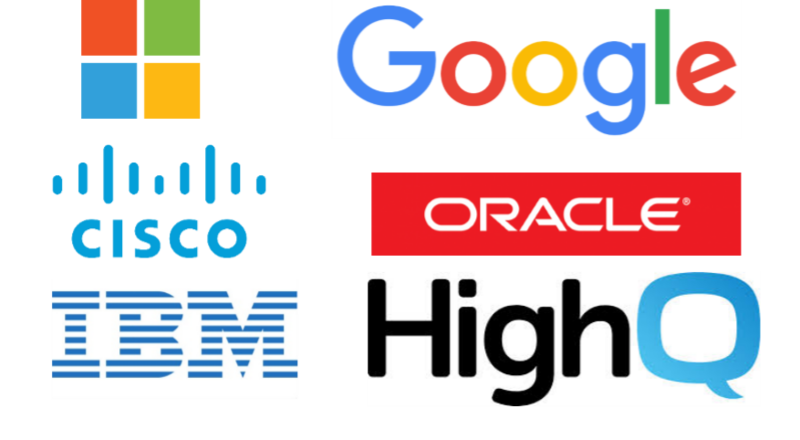 The companies operating in the market are also acquiring start-ups working on cloud collaboration technologies to strengthen their product capabilities. In February 2018, Cisco completed its acquisition of BroadSoft, which accelerated Cisco's cloud strategy and collaboration portfolio by adding the industry's leading cloud calling and contact center solutions to Cisco's leading calling, meetings, messaging, customer care, hardware endpoints, and services portfolio.